Should I be worried that name of the witness in the UFO case to which I've just been assigned is "Farce?" That's the last name, by the way, not the first. "Nxxxx Farce," I kid you not. The case itself is kind of interesting, though. It involves a woman and her daughter in their car at night sighting a bright light that started to behave suspiciously... "We pulled onto the road facing east and sat there watching it flicker and dart in ways that proved to be it was not an airplane, and I watched it ascend upward at a slight angle OVER the trees and descended in front of them towards us." 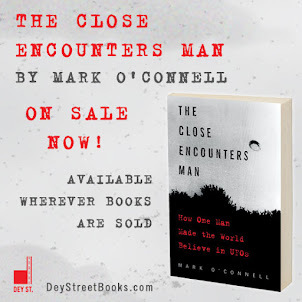 The narrative gets more interesting from there, but there are a couple features of this case report that caught my eye before I even got to the narrative description... One was that the witness reported psychological effects during the sighting. I don't think I've ever come across this before, and I'm curious to learn more about how the witness was affected. What's more, in the section of the case report where the witness is asked to check off anything the object did during the encounter, there is a list of 53 possible behaviors from which to choose, and while most witnesses will check one or two or maybe three, this witness checked off an even dozen! There's a lot going on there... To top it all off, when the witness and her daughter arrived at their destination, they were so shaken that the witness had her boyfriend pick them up and drive them home. Whatever it was that these two witnesses saw, it was not your ordinary light in the sky. 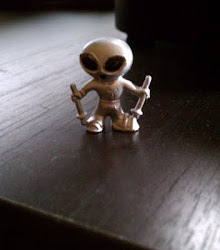 Talk about "Fuzzy Edges..." New guidelines from MUFON will make it easier to identify flying objects such as this one. That brings me to another item of interest. My superiors at MUFON have just released an updated list of Classification Categories for us Field Investigators, with, I hope, much clearer guidelines on what distinguishes an "Unknown Other" from an "IFO" from a "Hoax" from an "Information Only." I haven't had a chance to delve into the document too deeply, but I will share my insights on the new system over the next few posts, and I will share the details of my next investigation as we find out whether MUFON's modified categories will prove to be the bomb on their first trial. Of course... this whole thing could prove to be a Farce. Mark - see if you can get permission to interview the child without mommy being there. You have to be extra careful not to ask leading questions but that corroborative testimony is critical. Do you think it appropriate or wise to post the last name / source of your current investigation? This witness did not request anonymity when reporting the event to MUFON.